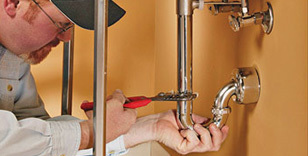 Detailed information and reviews of US home and commercial companies and contractors offering home (bathroom & kitchen) and commercial plumbing repair, installation, maintenance and emergency services. Post your requirements and receive no obligation price estimates and quotes. Michigan › Kent County › Grand Rapids › 49428 1915 Pinegrove Dr.
New kitchen sink - I had my kitchen sink & faucet replaced. I need the garbage disposal, drain assembly and water lines connected. Dryer vent to outside, pipe replaced - 1. Need dryer vented to outside, currently vented under house. 2. Pipe replaced under house, washer is leaking into crawl space. Residential Plumbing - I would like to replace 8 feet of cast iron pipe, main drain in basement is visible.